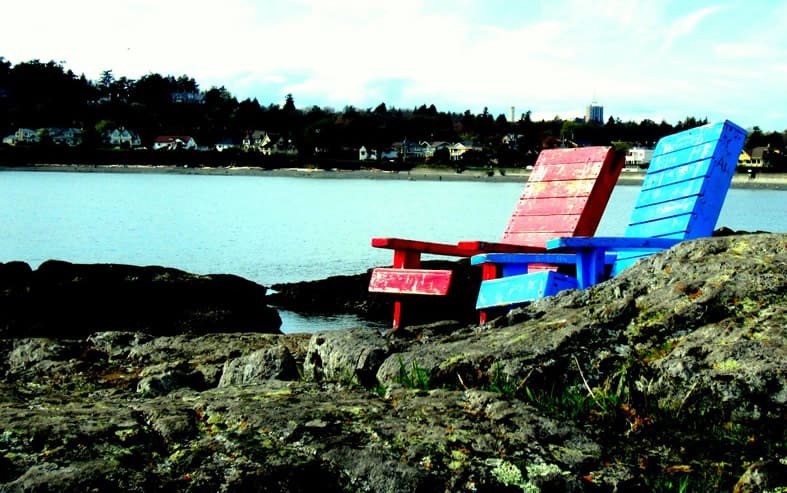 Chris Hamilton, upon the request of his wife needed to find a new home for his Old Blue chair that he had built years previously for an old girlfriend. 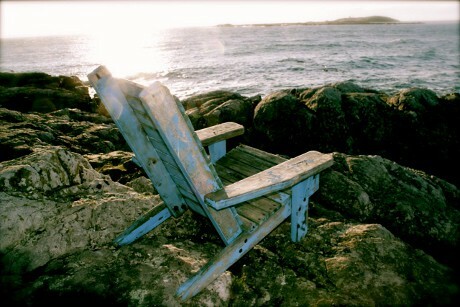 After re-thinking about leaving it on the side of the road he took it for a drive along Beach Drive and eventually found the perfect spot perched on the ocean side rocks at McNeill Bay. And there, “Old Blue” remained on the rocks for several years braving the ocean elements and enticing people to visit, contemplate their lives and be photographed like a famous character that everyone wants to meet. But, as mother nature would have it, a strong wind storm thrashed Old Blue against the rocks and essentially wrecking it. And then, soon after, he completely disappeared and McNeill Bay as lovely as it was just wasn’t the same without him. 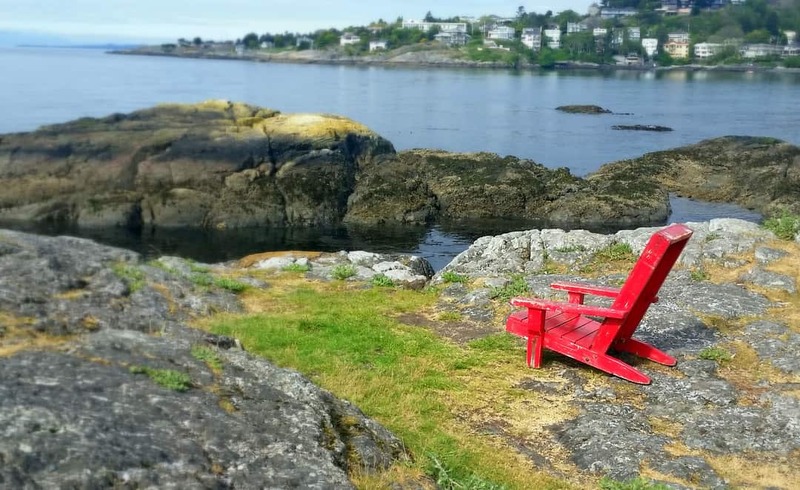 When Chris Hamilton heard how the community was saddened by the demise of their beloved chair, he decided to build another. This one he painted Red and he brought her to reside on the same rock where Old Blue was so fondly remembered. 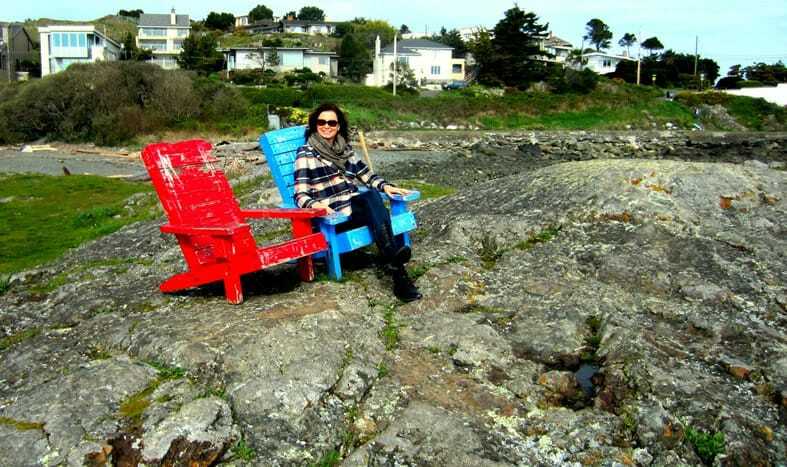 In the meantime a woman named Diane Nadeau who had frequently visited Old Blue to enjoy his gentle nature and find some retreat from time to time, was so disheartened by his condition that she decided to take the chair home. She worked with her Uncle Alcide to try to restore Old Blue but it was not possible. 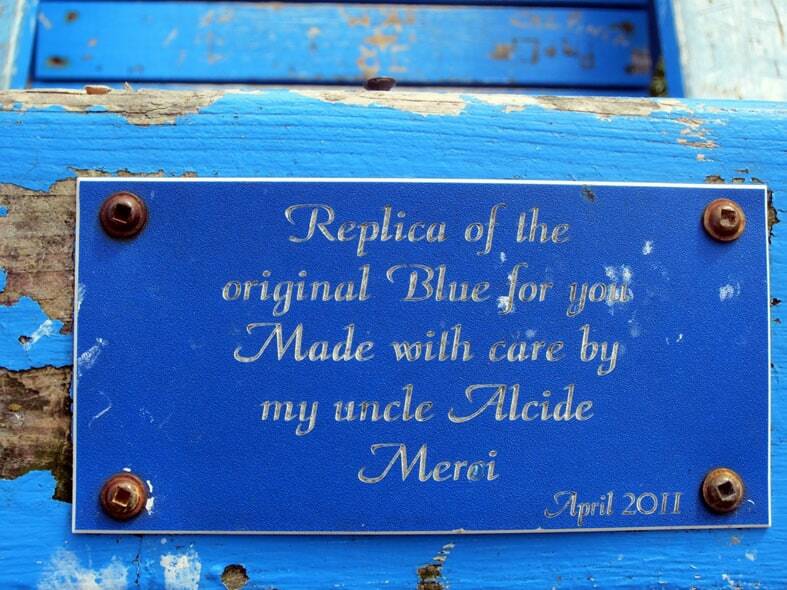 However, Uncle Alcide did build a brand new replica of her beloved chair; strong and boldly painted the original shade of blue. When Diane brought Blue back home she was surprised and thrilled to see that Blue would now have a life long mate to share this incredible little spot in the world. 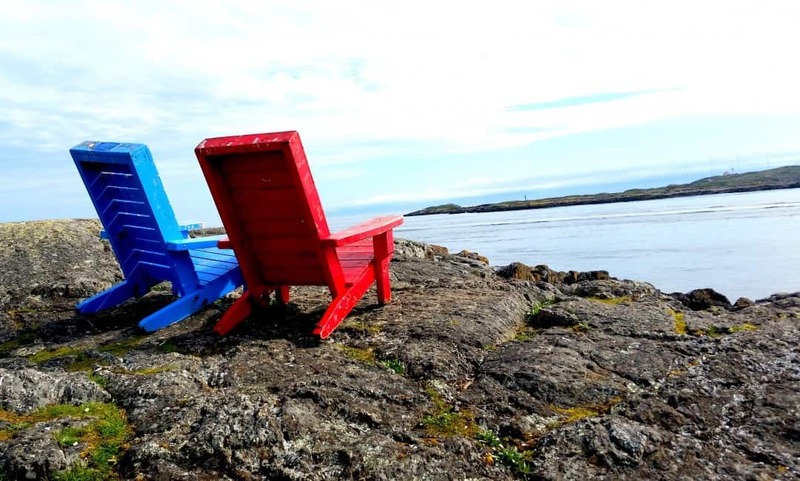 And like a match made in heaven Blue and Red now sit proudly, together on these rocks for everyone to visit, take some tranquillity in their day and be photographed as the wonderful couple that they are. 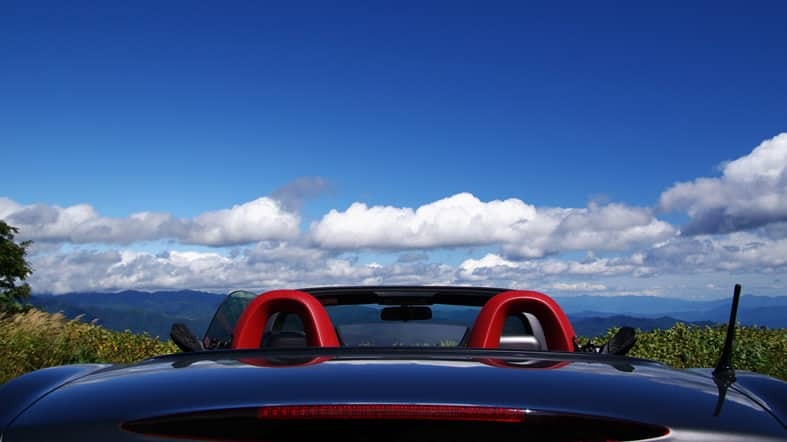 Take the scenic drive along the ocean and you’ll find this famous couple. 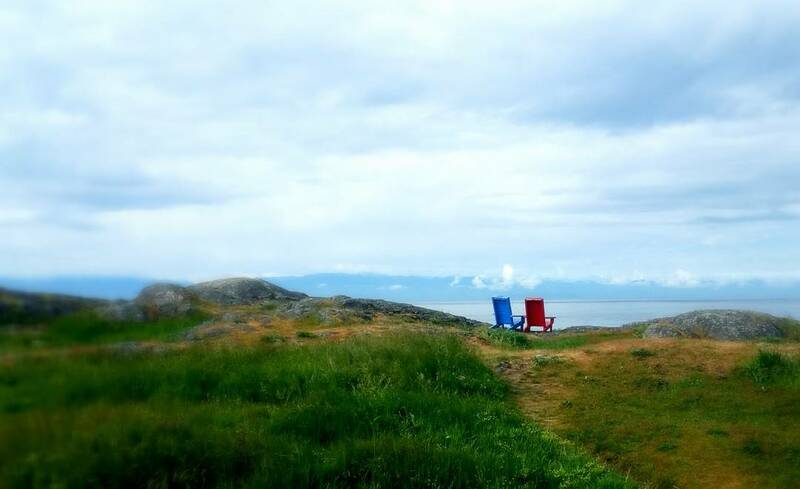 Stop by and visit, sit a while and soak up the tranquil setting, Blue and Red are awaiting your visit. This is a lovely story. Thank you so very much for sharing it!